This passage could set up quite a few points, but I would like to key in on what Luke builds to in verses 18-20. These believers in Ephesus had been hearing Paul preach for about 2 years at this point, and were seeking to follow Christ. Yet at this point they still had these magic arts books, and practices that they were not addressing as sinful. Seeing Jesus’ unique power over evil spirits (which was proven by these Jewish exorcists failing miserably at casting out a demon who first told them they were basically nobodies before stripping them of their clothes and beating them) brought those in Ephesus to a reverent fear of The Lord, and a conviction came emphatically, driving the believers to repentance. This wasn’t just a, “Sorry for the magic stuff God…” They brought something of true earthly value into the light of their congregation, and set it on fire! In today’s currency, they collectively burned about $6 million worth of magic arts books. And what was the result? “The word of the Lord continued to increase and prevail mightily.” These people had seen unbelievably amazing miracles by God through Paul before this event, but it was the act of their repentance that led to the Word increasing and prevailing. As is always the case, our hearts are the issue here. When we see God as not only enough, but satisfying, it motivates us to cast down our idols that we so often stake our identities in. We are motivated to sell out, to go all in for a God who loved us first. 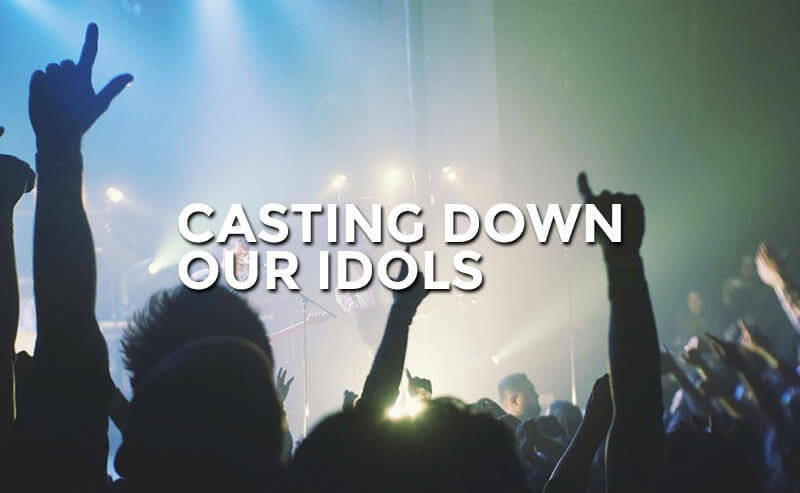 Looking to what God has done for us in Jesus shrinks our idols to dust. May we come together in reverence, and lay them at His feet.